Gobo Projector with Gobo Changer. 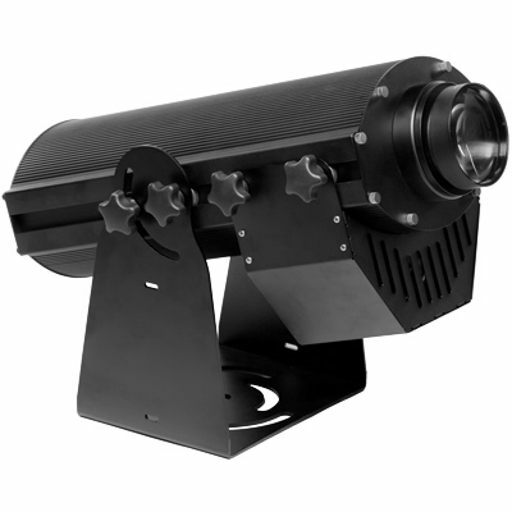 Cutting Edge LED Technology combined with an extremely efficient optical system that pushes the envelope once more. The B150C rivals classic 1200W discharge projectors at much lower cost, power consumption and size. 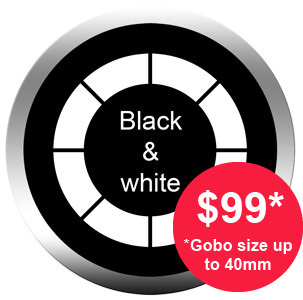 It features a 4 gobo changer that can be set to different intervals and run-times for each gobo. Integrated Four Gobo Changer with control panel, for four Gobo changing control. For distinctive Interior Applications that require a gobo change maximum light output and/or large image size and Long service intervals.